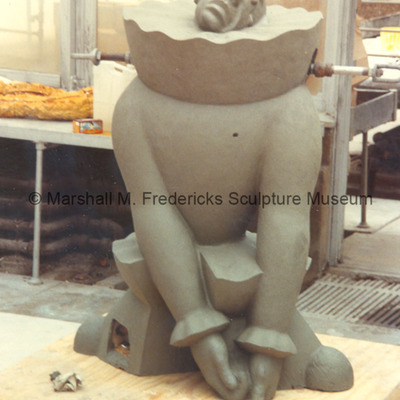 Plasteline model for "Acrobat" – one of the “Clowns”. 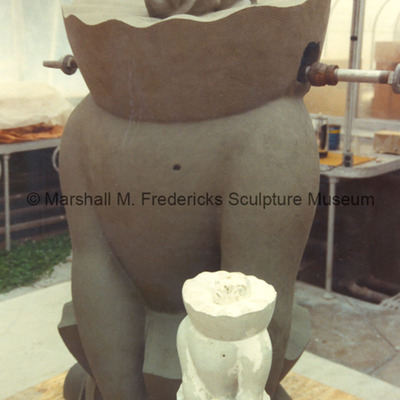 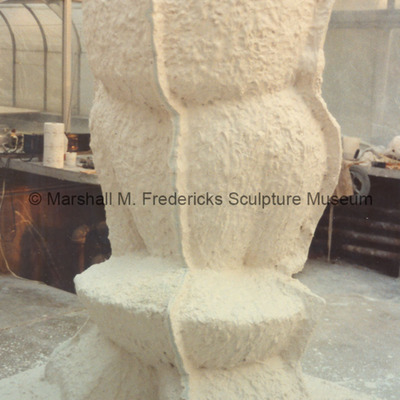 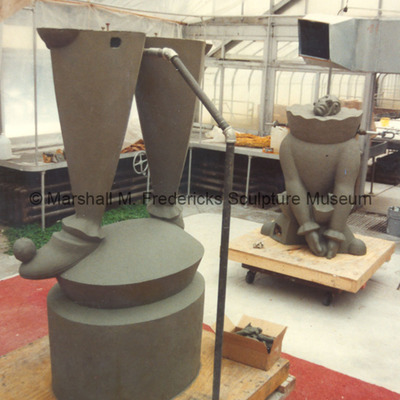 Mold for "Lovesick Clown (Pagliacci)"
Mold for "Lovesick Clown (Pagliacci)" – one of the “Clowns” in Marshall Fredericks’ Bloomfield Hills, Michigan studio. 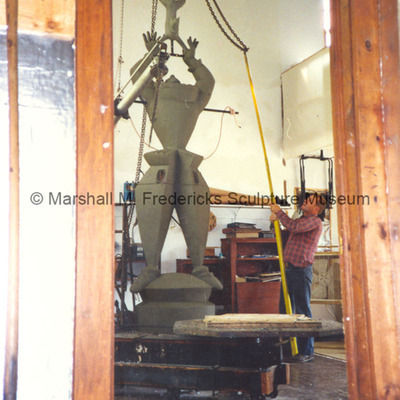 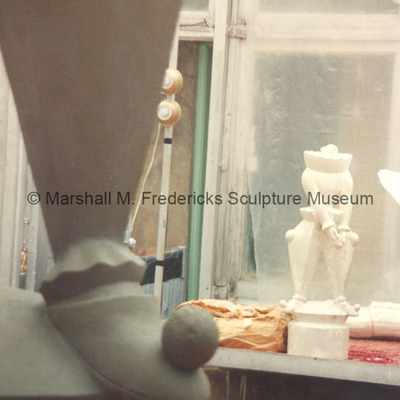 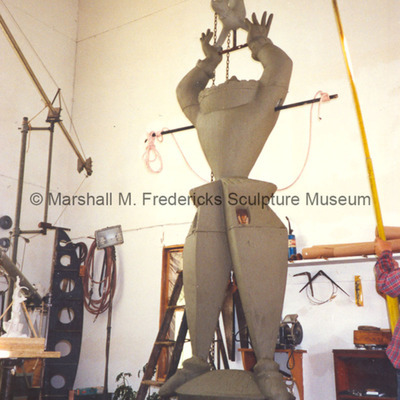 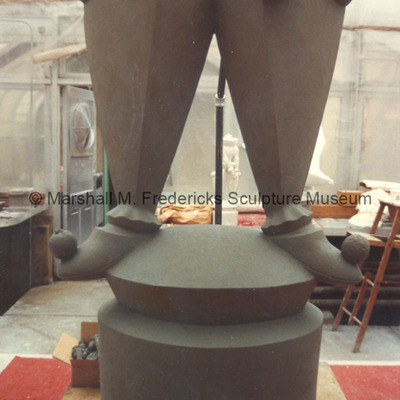 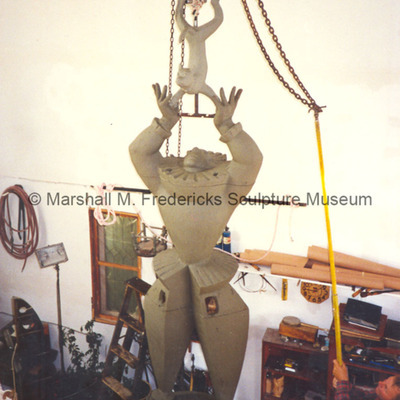 Plasteline model for "Lovesick Clown (Pagliacci)" – one of the “Clowns” in Marshall Fredericks’ Bloomfield Hills, Michigan studio. 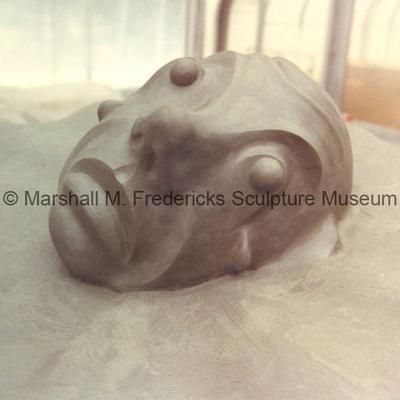 Bottom half of the full-scale plasteline model for "Lovesick Clown (Pagliacci)"
Upper half of full-scale plasteline model and small-scale plaster model for "Lovesick Clown (Pagliacci)"
Close-up of the face of the plasteline model for "Lovesick Clown (Pagliacci)"
Upper half of the full-scale plasteline model for "Lovesick Clown (Pagliacci)"
Rear view of the full-scale plasteline model for "Lovesick Clown (Pagliacci)"